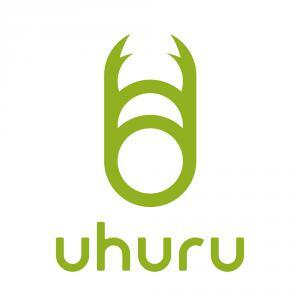 Uhuru Ranks in at Deloitte Technology Fast 500 Asia Pacific 2018, A Ranking Program of Fastest-Growing Technology Co. There were 616 press releases posted in the last 24 hours and 153,943 in the last 365 days. MINATO-KU, TOKYO, JAPAN, December 7, 2018 /EINPresswire.com/ -- Uhuru Corporation (“Uhuru”, headquarters: Minato-ku, Tokyo, President & CEO: Takashi Sonoda) has received an award at the Deloitte Technology Fast 500 Asia Pacific 2018, announced annually by Deloitte Touche Tohmatsu Limited （DTTL）, following the Deloitte Touche Tohmatsu Limited 2018 Japan Technology Fast50 award Uhuru received in October. Uhuru’s corporate philosophy is to “Create the future with technology and free thinking”. We aspire to contribute to our clients and society by bringing added value with innovative products and services based on the Internet. Focusing on IoT business, we continue to make transformation happen at our clients with enebular, our IoT Orchestration service that allows unified management of edge devices and the cloud. We are also working on next-generation telecommunications technology including NB-IoT in preparation for the upcoming era of 5G. Our teams of experts in consulting, engineering and creative production strive to create business at our clients by offer one-stop access to professional services in business strategy, technological support and communication strategy. The Deloitte Technology Fast 500 is the pre-eminent technology awards program in Asia Pacific, and now in its seventeenth year, it includes nine Asia Pacific locations: Australia; China (including Hong Kong); India; Japan; South Korea; Malaysia, New Zealand; Singapore and Taiwan. Japan has been participating in the program since the first year. Combining technological innovation, entrepreneurship and rapid growth, Fast 500 companies — large, small, public, and private — span a variety of industry sectors from software to biotech. Fast 500 companies play in the SaaS, cloud computing, data analytics, and mobile sectors and are transforming the way we do business today. Japan Technology Fast 50 is the Japanese edition of the ranking series organized by DTTL, an international public accounting and consulting firm that ranks companies among TMT industries based on their recent revenue (sales) growth based on a three-year period. Because the revenue growth rates are used as indices, the ranking indicates the fastest-growing companies regardless of their sizes. Entries are accepted from both listed and unlisted companies and they are automatically nominated for Asia Pacific Technology Fast 500 that encompasses all technology industry segments including hardware, software, communications, media, life sciences and clean technology. In tabulating Fast 50, Deloitte Touche Tohmatsu LLC and Deloitte Touche Tohmatsu Limited have made reasonable efforts to ensure their accuracy. However, because it is based on information provided by applicant companies to Fast50, such information is provided “as is” and not intended for expressing any opinions regarding their accuracy, and Deloitte Touche Tohmatsu LLC and Deloitte Touche Tohmatsu Limited make no representation or warranty of any kind, either expressed or implied, to the accuracy of the information. For further information on Fast 50 and Fast 500 programs, please visit: www.deloitte.com/jp/fast50.